Night at the Prom, 28" scapes, 6" flower, evergreen, midseason, 3 way branching, 15 buds, tetraploid. 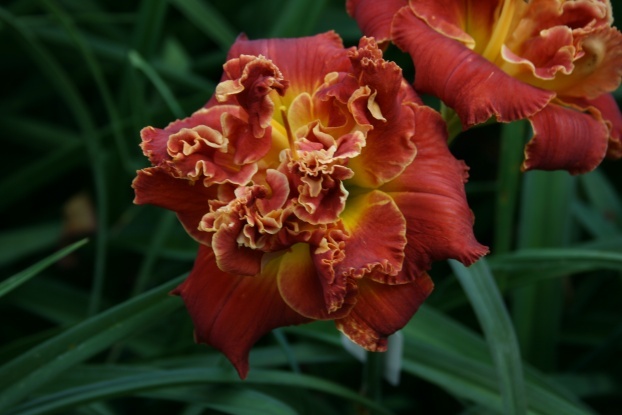 ((Highland Lord X Let's Party) X Vision of Love) A striking tetraploid double. I can't remember it blooming single in all the years I've grown it. Evergreen, but hardy here without mulching. Admired by David Kirchhoff. Fertile both ways. Pods are more difficult but not impossible in full sun. Inquire.